Whether you are celebrating a wedding, birthday, Bar Mitzvah, anniversary or other special occasion, you can make your day even more memorable by supporting a cause you love. A gift in celebration to the Zoological Society of London will help us to protect animals and their habitats in the UK and around the world. Create a personalised page using Just Giving . Add your own words and pictures and share the link to the page with your friends and family. You may also wish to kick start your fundraising by making a personal donation and setting a precedent for others to follow! 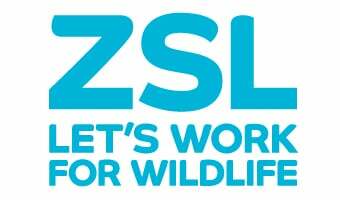 If you are holding an event at one of our venues at London or Whipsnade Zoo, ZSL will be happy to supply donation boxes or other literature for you to display. Take part in a challenge event to mark the occasion. The events are great fun and you will feel even more special as your friends and family cheer you over the finish line! Please check for minimum sponsorship requirements and entry details. All donations will help ZSL to achieve its mission: our needs vary from £10 to buy a new hanging basket filled with herbs as enrichment for the giraffes, to £50 to feed our two Sumatran tigers at London Zoo for a week, or £500 to supply our conservation teams with a motion camera to monitor animal populations and behaviour.